applications give more room for various features and engaging customer experience. With all these advantages there is no wonder e-commerce apps have higher conversion rates than websites. 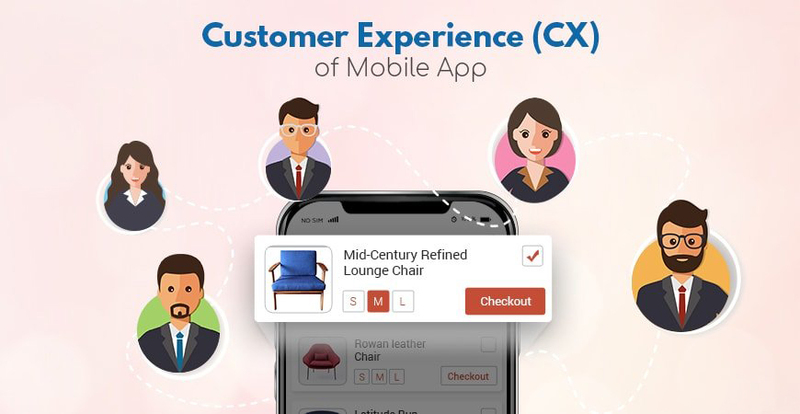 Mobile applications are beneficial not just for e-commerce businesses, but pretty much for any kind of brand plainly because they can drastically improve the user experience. And as practice shows, the better it is, the more loyal and involved customers are. What’s so special about mobile app, though? How can a mobile app improve customer experience? An application enhances customer interaction with the brand in more ways than a mobile website. Developers have a lot of space for both creativity and implementation of complex technical features. 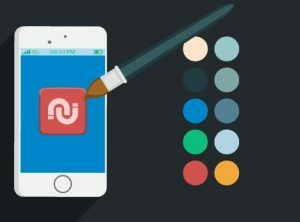 Let’s take a look at unique qualities apps have. The load speed of a website depends on the browser a lot. So, you can’t control the quality of the performance entirely. Also, you can add only a limited number of advanced features to the site. Otherwise, it will take an eternity to load. There are no such problems when it comes to apps. The mobile program is tailored to a specific operating system and technical capabilities of the device. Developers always do their best to make the application run as quickly and smoothly as possible by launching timely automatic updates. Therefore, a mobile app will offer a pleasant experience for customers. Camera, GPS, QR code scanner – mobile devices have a vast number of various functions an application can use. Moreover, the most significant trend among e-commerce businesses now is augmented reality that allows to try on clothes, accessories and other products virtually. For example, Ikea has an app using which customers can see whether the furniture matches their rooms. Once an application is integrated with the device’s functionality, users get many different opportunities to benefit from. It involves customers in interaction with the business and makes them willing to share the app with friends. Today people are bored with general-purpose solutions. We carry similar gadgets, use the same services and buy the same goods as everyone around. And the biggest two treats apps can bring are customization and personalization. If the client can customize the application so that it fits their unique needs and demands, they will more likely use it frequently and enjoy the experience. Even the smallest thing like changing the appearance of the interface can satisfy the user. Personalization is a huge deal, and websites can’t offer the flexibility that apps have. The machine learning industry provides more and more solutions for developers to create a unique experience for each user. Now, reinforcement learning applications can study the smallest details of user behavior and fetch the most relevant content, products, and offers. This makes users feel like they’re special to the business they’re interacting with. This feeling increases customer loyalty and pushes them to advise this brand to others. Another massive advantage of apps is that customers can use certain features without having an internet connection. Some of the data can be stored in the internal memory of the device (or in local storage, as the devs say). As a result, the user can access it through an app while being offline. This approach works fine for different types of apps. It could be information about favorite products if we’re talking about e-commerce, or saved articles and other kinds of content in the app that belongs to some social media. Which industries benefit most from mobile apps? It is impossible to point out the industry that gets more advantages from applications. Even though they are most used in e-commerce so far, there are many other ways to utilize a mobile application. Banks could use this technology to improve online banking experience for their customers. Online journals could offer personalized content and more convenient ways of its consumption. Being the most popular type of resource used on the go, social media platforms will no doubt increase user engagement introducing a dedicated app. And companies that provide industry-specific services (e.g. medical or legal consulting) can ease the procedure of appointment-making for their customers. Any business can find original and fascinating approaches to the use of applications. The technology itself is exceptionally agile, and you’re limited only by how far your creativity can go. Just think of how apps have changed our traveling experience. You don’t need physical tickets anymore – just scan the QR code displayed in the app, and you’re free to take your seat. Another example of an unusual way to use this marketing channel – various sports brands that expand their target audience creating fitness apps. Users get engaged in interaction with the application – and, consequently, with the brand. Eventually, they get used to the brand and choose it over others. So, the best way to create a handy mobile application is to look at your competitors and study the most successful cases. It will bring plenty of exciting insights that ultimately will result in a unique solution for your business.